Invasion of the urinary tract (U.T) by E. Coli bacteria causes most infections. 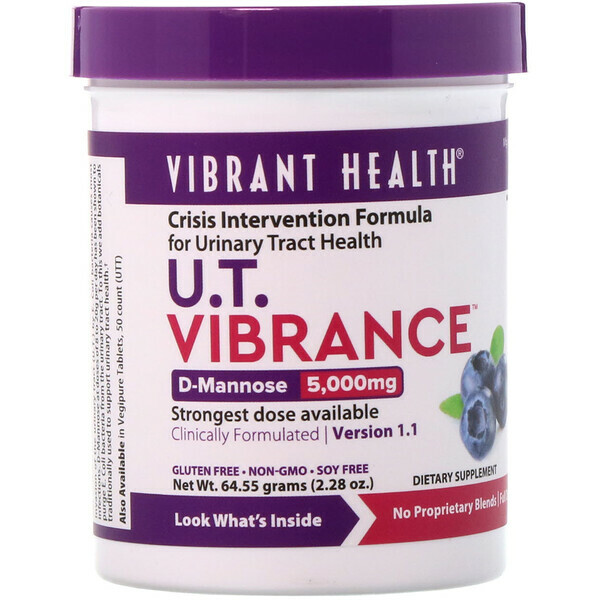 D-Mannose at doses of 8 to 20g per day has been shown to purge E. Coli bacteria from the urinary tract. To this we add botanicals traditionally used to support urinary tract health. 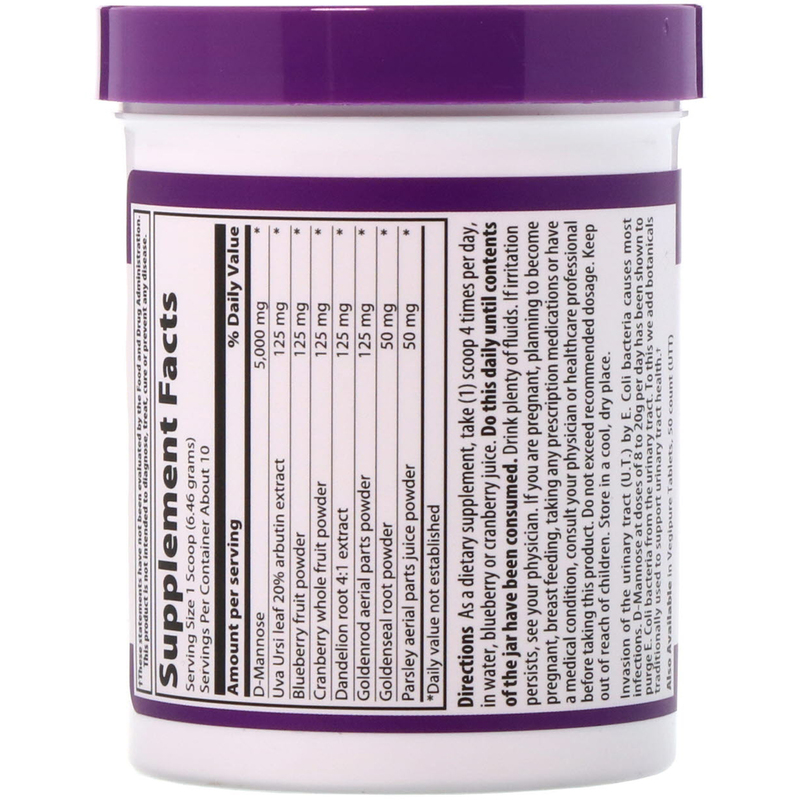 As a dietary supplement, take one (1) scoop 4 times per day, in water, blueberry or cranberry juice. Do this daily until contents of the jar have been consumed. Drink plenty of fluids. If irritation persists, see your physician. If you are pregnant, planning to become pregnant, breastfeeding, taking any prescription medications or have a medical condition, consult your physician or healthcare professional before taking this product. Do not exceed recommended dosage. Keep out of reach of children. Store in a cool, dry place.